Student loan debt is often the biggest factor when trying to decide whether attending college is a viable option for you. The graduate class of 2016 is reported to have accrued, on average, debt in the region of $37,000. This equates to between $200 and $350 a month in repayment. Considering the rising costs of living these days, this could potentially be a large portion of your wages. Leaving you with very little to live on and little hope for saving towards your future. 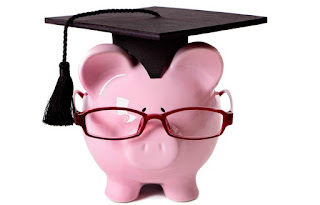 It is, however, possible to minimize your student loans and here are four tips for ensuring that you graduate with a debt that is far more manageable. When it comes to picking the right school you probably have your dream destination. It would be wonderful if we could all attend Ivy League colleges, but the truth is that the prestige of attending such places comes with a price - much higher tuition fees. It is an unfortunate reality that your choice of college may come down to what you can afford. You must be realistic, otherwise you will find yourself living beyond your means and unable to complete your courses. There are many great schools out there, so look into what various different institutions are able to provide that would suit your needs and your budget. If there is funding to be had, then take the opportunity and apply for it. You have nothing to lose. There is a misconception among students opting to go to college that scholarships are only available to those with great grades or who excel in a particular field. This is not the case. Talk to advisers and find out what is available to you. Attending a 'bricks and mortar' school is no longer the only option available. More and more students these days are opting to study online. For example, a course such as a masters in business administration online could, in theory, be completed without ever having to step into a school, and there are literally dozens of online MBA programs to choose from. Northeastern University for instance offers a great online MBA program that anyone with the proper credits can apply to. Taking this approach means you are already cutting down on living expenses dramatically. For those of you who have already accepted a place at a school now is the time to start thinking about how you might be able to juggle your studies with a part-time job. For some this is not possible. But if you are able to take on a job, then it means you may not need to apply for as much money when it comes to taking out a loan to cover expenses. Unless you are super-rich, student debt has now become a fact of life for students across the country. But if you take time and plan wisely that debt does not have to financially cripple you.